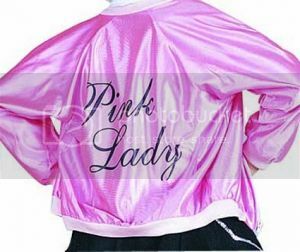 This costume includes only the coveted pink lady jacket with Pink Lady printed on the back. A cute costume for ladies who want to dress up 50's style. Add a poodle skirt to complete this outfit. Great for 50's parties, as well as Halloween parties! Poodle Skirt, Scarf, Shoes, and Socks are not included.